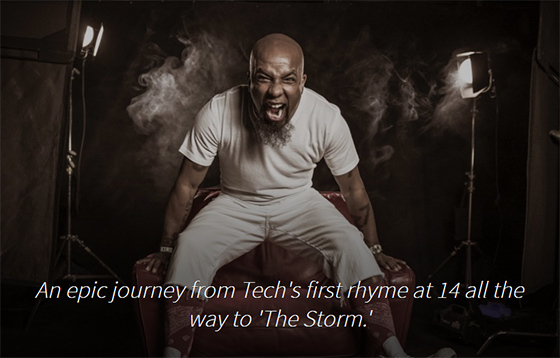 Tech N9ne tells The Cipher Show how long creating The Storm has been in his mind. Our good friend Shawn Setaro spoke with Tech N9ne for his 180th episode of The Cipher Show. He and Tech take us all the way back to when he was 14 years old and wrote his first rhyme to his time rapping with the 57th Street Rogue Dog Villians to today and how The Storm came to fruition. I think my guy who did the artwork and painted my face, Bryan Beezle Dennis, was trying to say this is just the beginning. This is part one. This is the calm before the storm. We were set up to do The Storm back then, but that other Storm didn’t come until now. 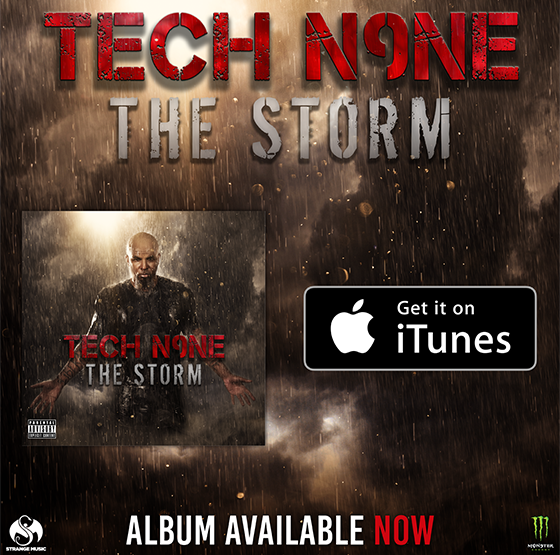 CLICK HERE TO PURCHASE THE STORM ON iTUNES!